I am designing an application which displays tickets. The tickets are displayed in a list. There can be hundreds of tickets in the list. When the user selects an item (i.e. ticket) from the list, the details of the selected item should be displayed on the same screen, to keep the interaction and consumption of content efficient. When designing the list and the detailed view, we initially considered the use of the same background color to indicate which item in the list on the left hand side relates to the detailed view on the right hand side. 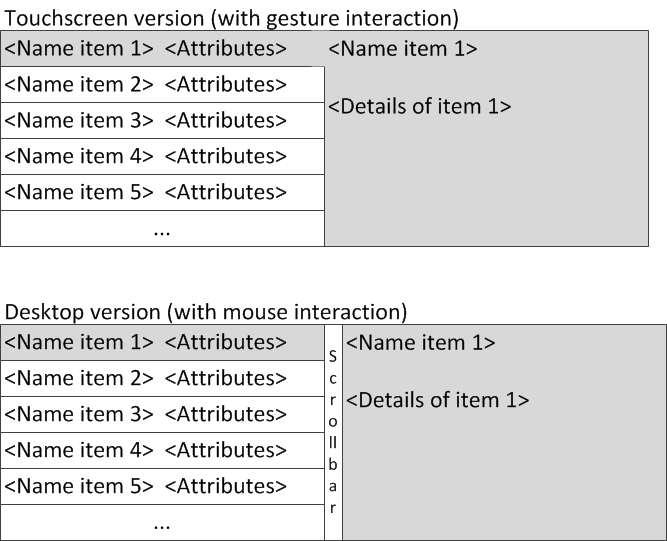 As you can see in the attached image, this works very well for touchscreen devices where no scroll bar separates the item list from the item detailed view. 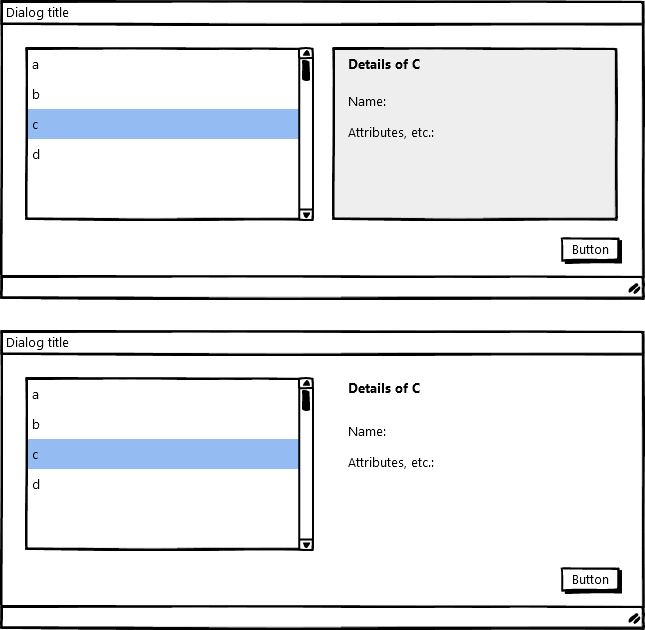 If the screen is displayed on a desktop monitor, a scrollbar will interrupt the item list from the detailed view which weakens understanding the relationship. We use HTML5 and CSS for the implementation. The question is: How to indicate the relationship between a selected item in a list and the detailed item view when they are separated by a scroll bar? I'm pretty sure people will understand the two sides are connected when they first click on any item in the list, but it's also easy to create a prototype and test it on a few colleagues/friends. Not the answer you're looking for? Browse other questions tagged lists scrollbars listview or ask your own question. Displaying count of something on the corner of a div. When is a table the proper way to present data? Does finding something through a map also require a manual search? How to display long lists of nested filters?